I would like to take this opportunity for the excellent work that you have carried out from start to finish the service has been excellent all the way through. Just a quick thank you for the large shed you supplied and delivered to me at Welwyn.I was very impressed with the fit and quality of the panels, the shed feels very solid and is exactly as I and my customer imagined. I felt I had to write and say how delighted we are with our Balmoral summerhouse.It looks really great and is so well constructed.At the same time we would like to thank you for the courteous and professional attention we have received right from the ordering stage to the erection yesterday. Please find enclosed photos of your summer house in our Japanese tea garden! We are thrilled with it and hope to spend many happy hours in it over the summer.Thank you all so much for you prompt delivery (s) and erection during the busy Christmas period. Janet Woods and John Jones. We are very impressed with the quality of the shed, and especially by the lads who put it up who were very courteous.We will be ordering another shed in the new year and will not hesitate to recommend yourselves to my customers thank you. I have nothing but praise for this seller, superb product. To all at Regency Timber.We have recently purchased a Alpine play house from you and may we take this opportunity to thank you all so much for the wonderful service that we received from all of you, a very professional & helpful service was given to us by you all. We are all really happy with our new store and we have no problems at all with anything..excellent work, workmanship and a real quality building, thank you so much! Quick note to say many thanks for the shed and what a good job you all did . No hesitation in recommending you. Dear Paul, just a quick e-mail to thank you and your crew for the very professional way that you erected our new garage last week – we are very pleased with the work and appreciate the efforts you put into your product. Thanks so much for the delivery of the workshop yesterday evening. Firstly it is amazing, I was expecting a well constructed building but not quite of the scale you have produced. I am, today, the grateful owner of one of your Timber Workshops. The quality of the materials and the structural integrity of the design are second to none, and I would not hesitate in recommending. I just want to say how please I am with the garage. The guys erecting it worked on well after dark on Wednesday eveningand arrived early the next day to finish the job. The quality of workmanship is excellent. Regency Timber Buildings manufacture their own garden summerhouses in house. We don’t buy in any mass produced flimsy buildings. We have four standard models available, all of which can be “tweaked” to suit you individual needs. Felt roof shingles, large balcony / veranda, mortise locks and handles. 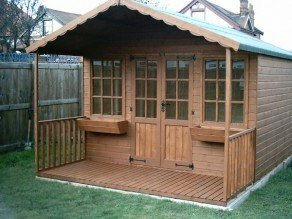 We were established in 1987 and manufactured only wooden summerhouses and sheds for the first five years, later expanding in to larger garden rooms. We are renowned for our quality and workmanship, which is carried out in the old traditional methods of carpentry here at our factory. 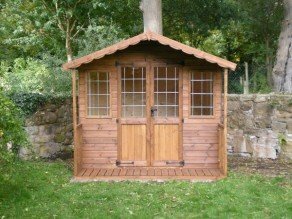 We specialize greatly in bespoke summerhouses, if you would like to arrange a free no obligation quote you can call us on 01948 830460 or send us an email using the quote form above. 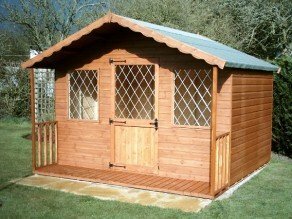 All our products are fantastic quality and workmanship and we believe you will find us to be very competitive on all our ranges of summerhouses and wooden garden buildings. Compare our prices and quality anywhere, if you find the same specifications at these prices we will beat it! We have fantastic specifications as standard, however should you like any different specifications or size lease give us a call and we will be happy to quote you for it. We only use the high grade timbers in our timber workshops for strength and durability. Apex Side walls are 6ft high as standard. FSC Timbers- all our timbers are from sustainable sources, we use high quality Scandinavian timbers throughout. All our shiplap is 5th’s grade Scandinavian redwood, we don’t cut costs with 6th’s grade, whitewood or timber sourced from the Baltic regions which tend to have a lower grading system, they are then hand painted. Also available in 19mm/ 22mm and 32mm thick cladding as can be seen on our pricelist. Tanalised pressure treated shiplap also available as an extra. Our roofs have a heavy duty 75mm x 47mm framework to prevent roof sag. 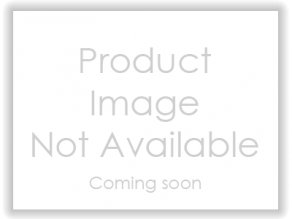 125mm x 16mm high quality Scandinavian redwood tongue and groove boards. We do NOT cut costs by using inferior unsightly O.S.B strand board as seen in manufacturers garages. Heavy duty 38kg green mineral roofing felt as standard. Optionally available are corrugated onduline roof sheets and the rather attractive felt shingle tiles. Plain glass as standard architraved, beaded and silicone sealed. Keyed mortice lock as standard. 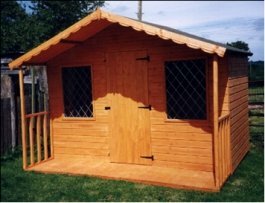 All our sheds are hand treated with high quality non-toxic brush on preservative, with added waxes. And not pre treated like many others. The customer is required to have a prepared base in place for the building to sit on. We recommend paving slabs, concrete or sleepers, all of which must be level. Different windows styles/ sizes are available on request. please call for a quote if you would like anything made differently.